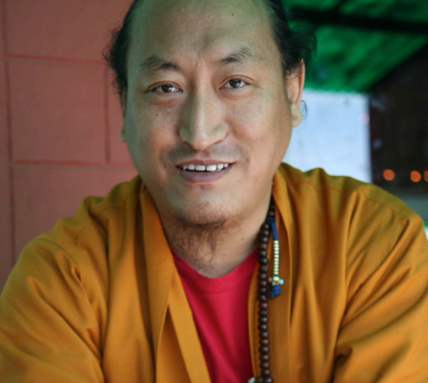 Younge Khachab Rinpoche is a highly accomplished Dzogchen master and non-sectarian, or Rime scholar. He was educated at Ganden Jangtse Monastery where he received his Geshe degree. He was also appointed as the Khenpo of the Kagyu Monastery Thagten Nyingje Ling in Nepal where he taught for several years. He has studied widely with the top masters in the Kagyu, Nyingma, Gelug, Sakya and Bon traditions. Rinpoche's style of teaching is direct, warm and engaging, extensive yet practical. He is accessible and takes a personal interest in his students' progress. Rinpoche currently makes his home in the United States. Doing the long life supplication extends Rinpoche's life and also helps the student to become deeply connected with Rinopoche. One would visualize Rinpoche on a lotus on top of one's head with light radiating from his heart center and then do the Supplication. Email Updates for Rinpoche's events. Help support Rinpoche's dharma activities.